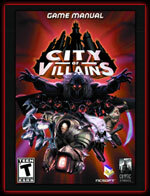 The secrets to villainy are just a short download away! Learn about the zones, powers, enemies and more included in this ‘evil’ stand-alone sequel. It’s good to be bad – so check out all the wicked details and release your inner villain! Download the manual (PDF 6.8MB).